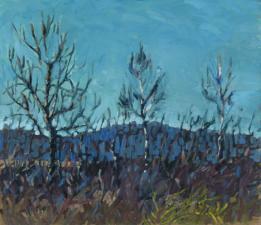 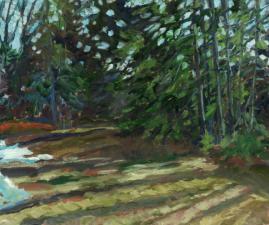 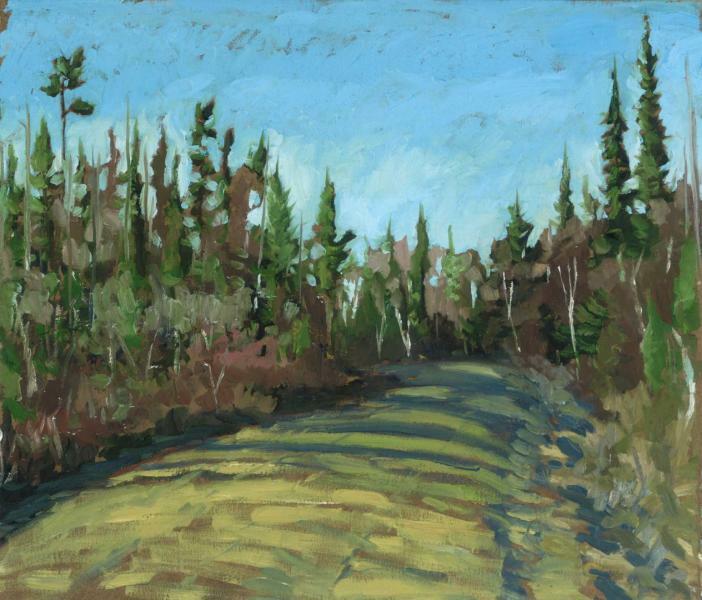 Eric McConnachie is a northern Ontario artist who lives and works in the area west of Algonquin Park. 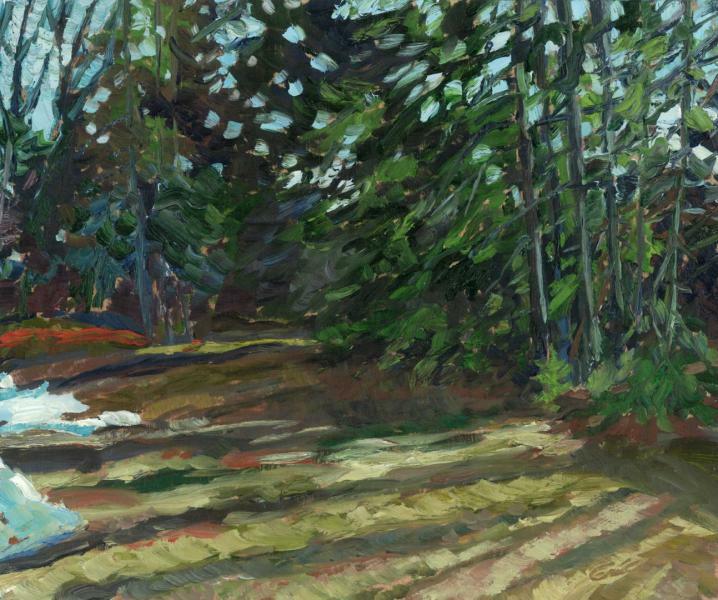 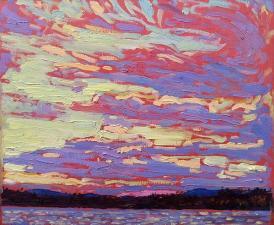 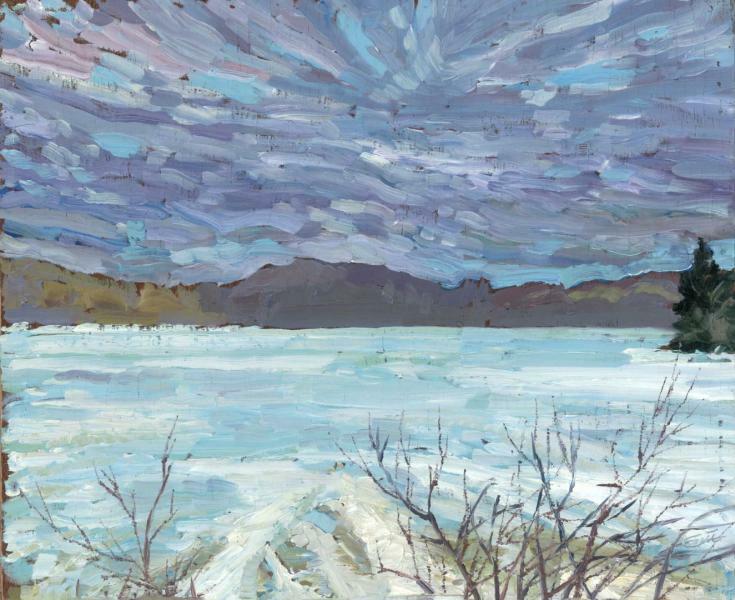 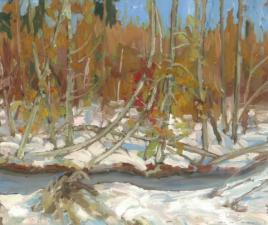 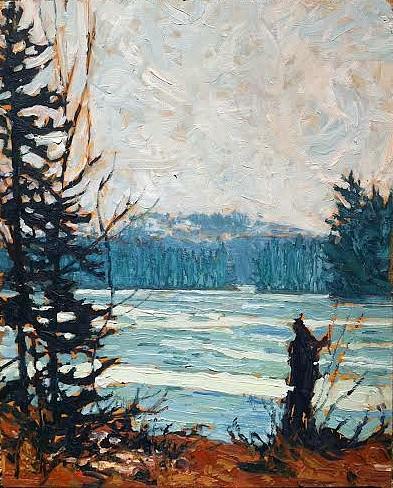 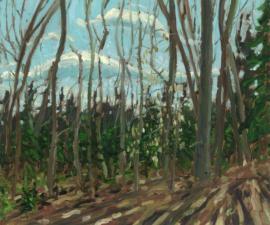 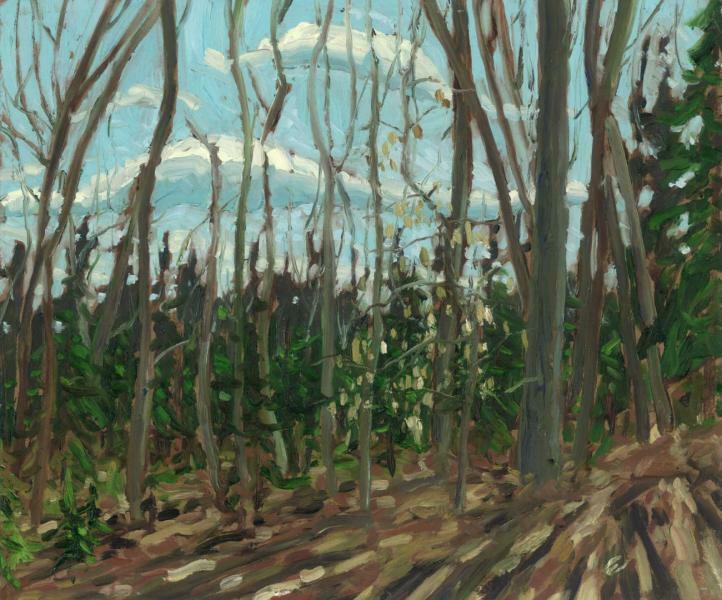 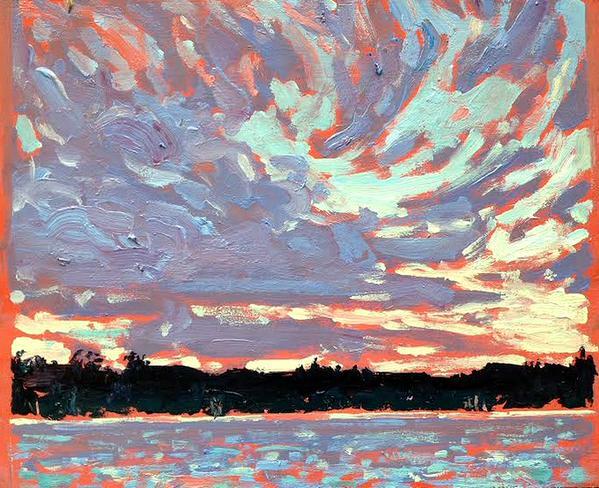 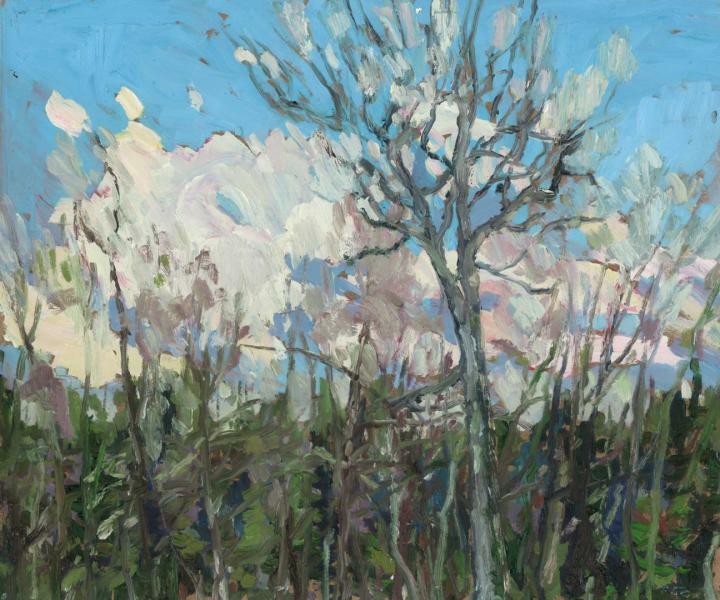 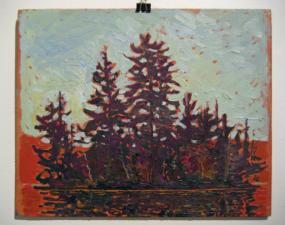 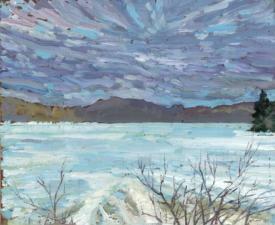 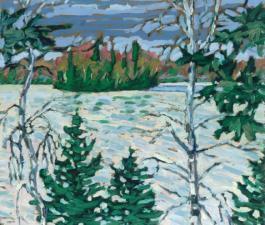 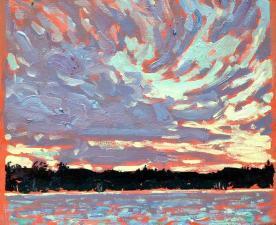 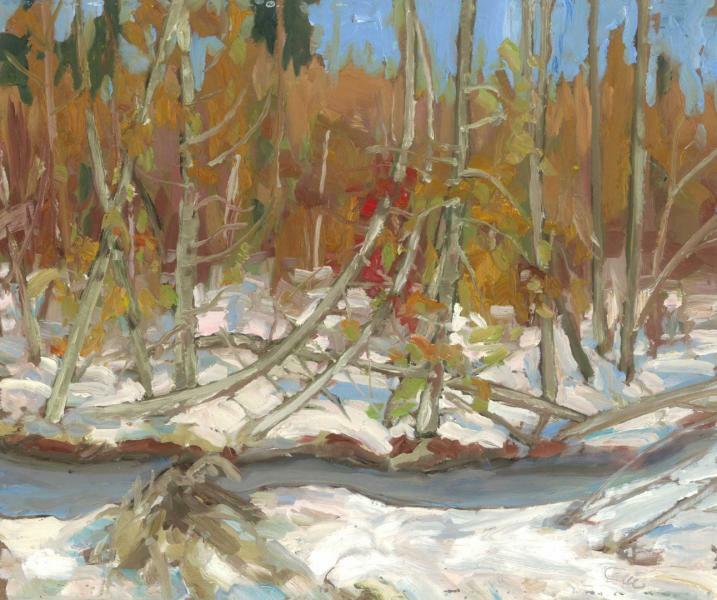 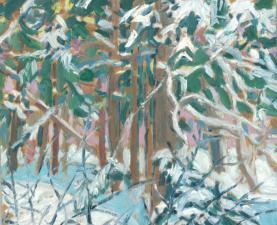 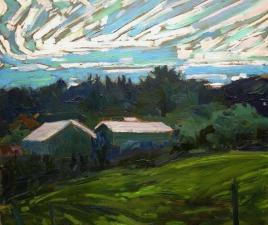 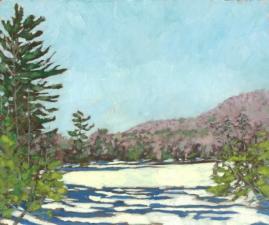 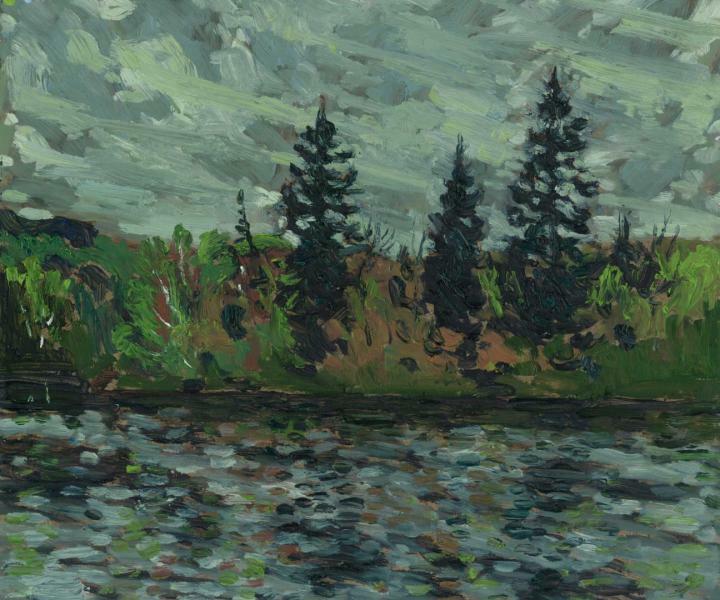 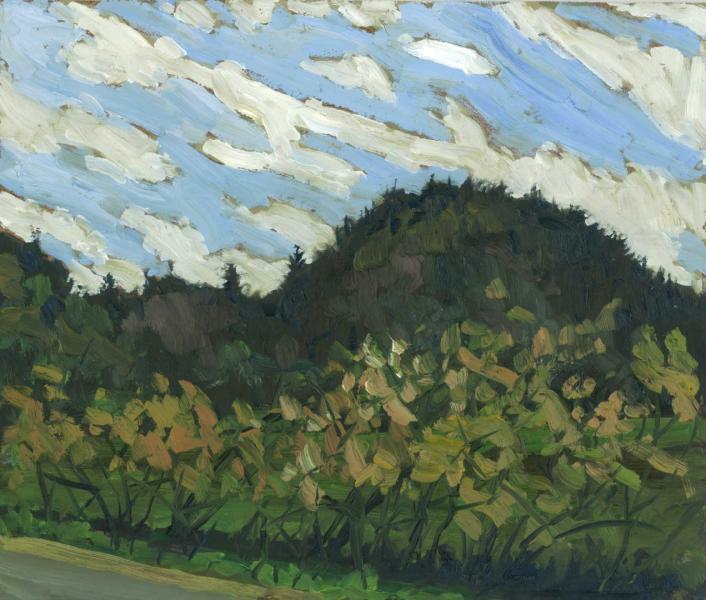 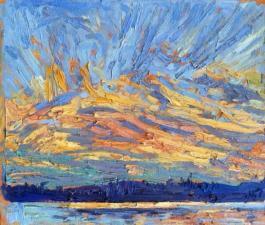 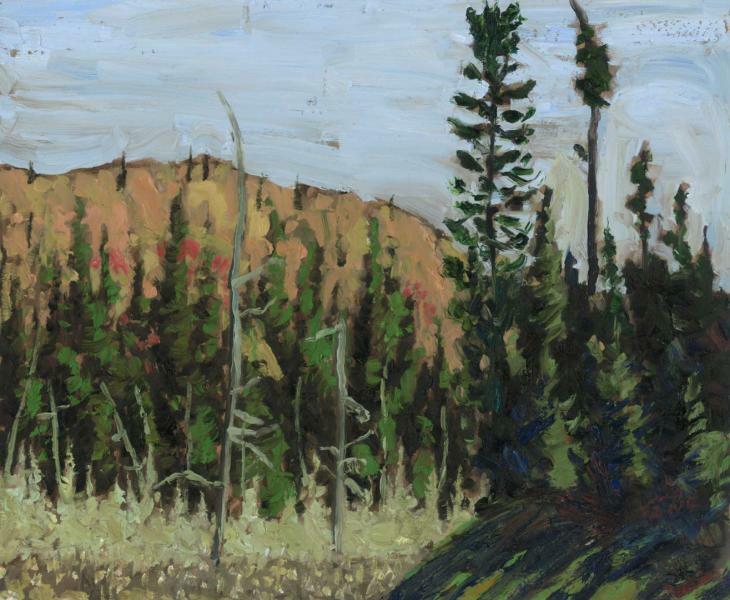 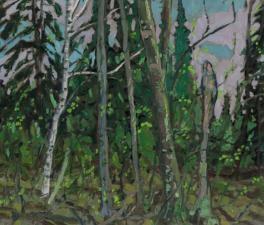 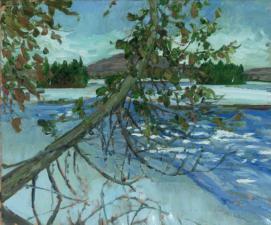 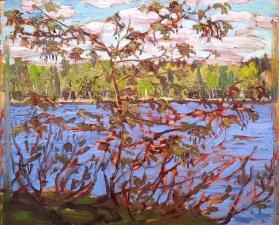 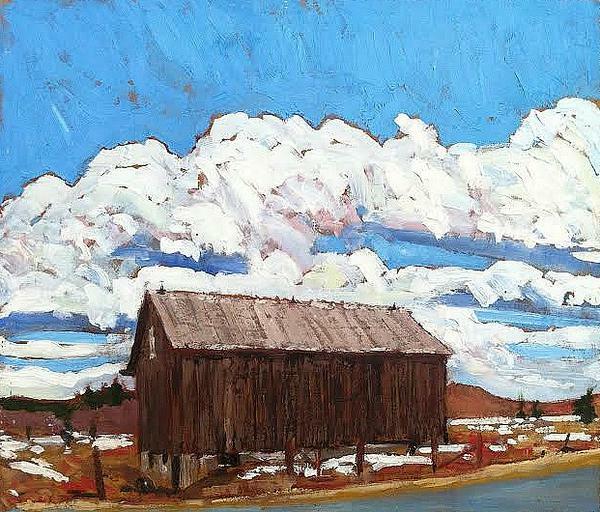 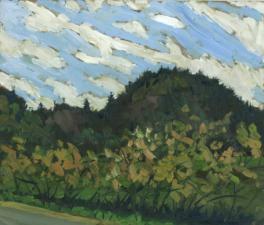 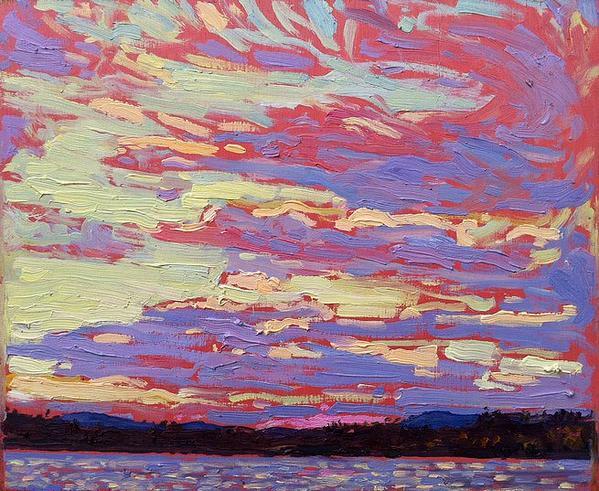 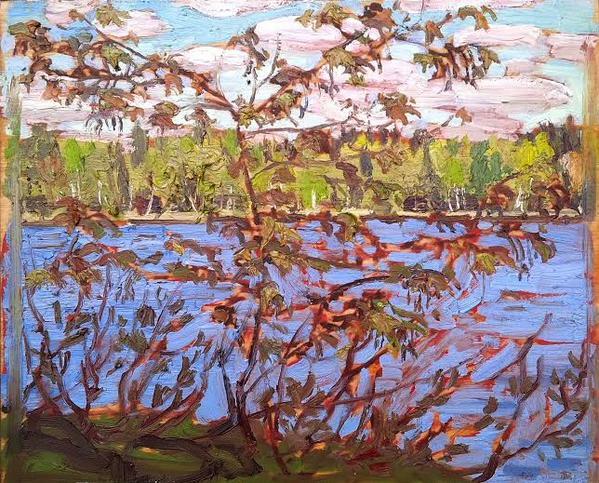 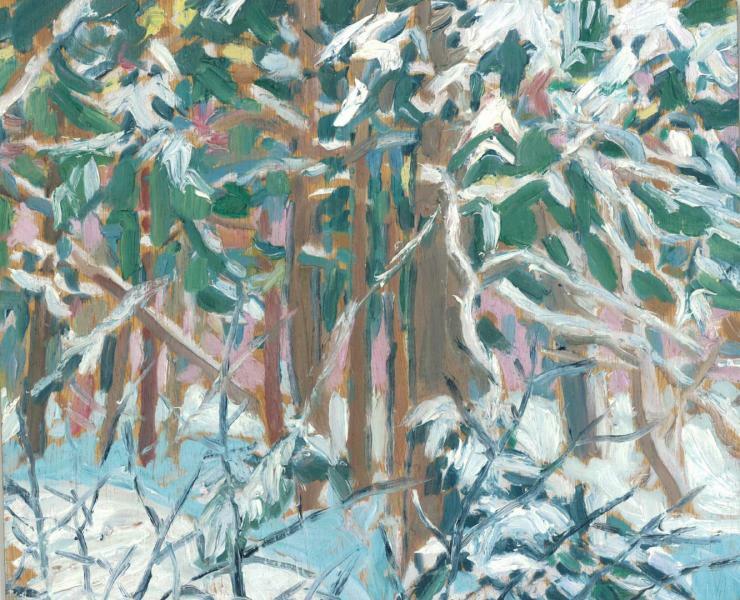 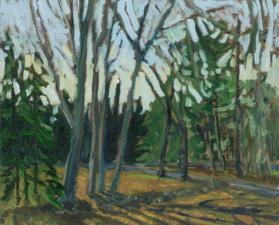 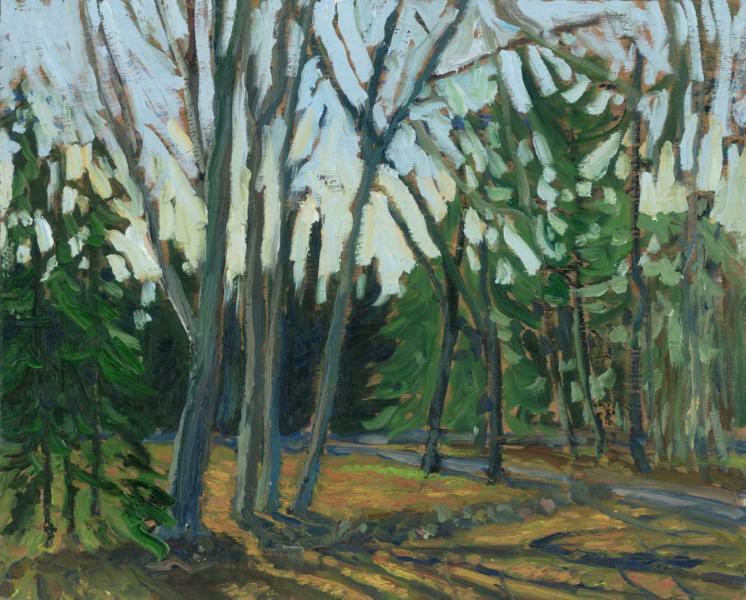 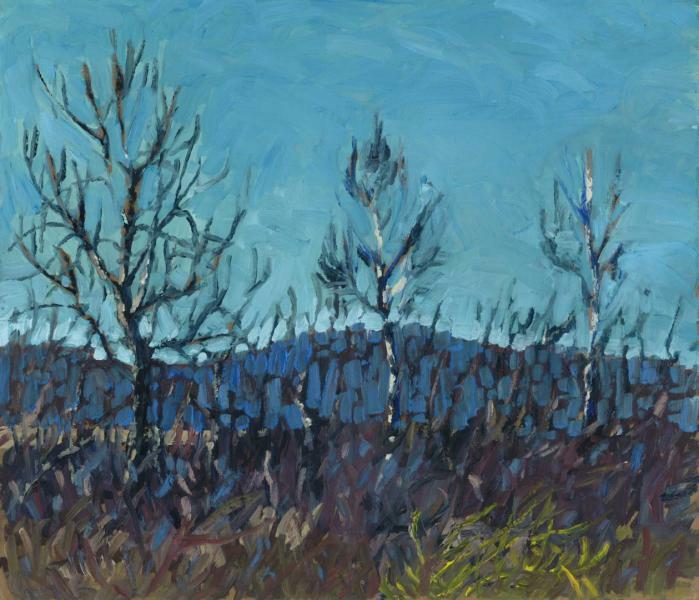 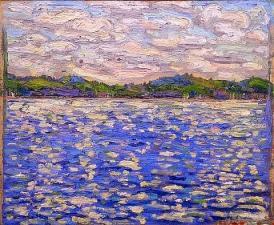 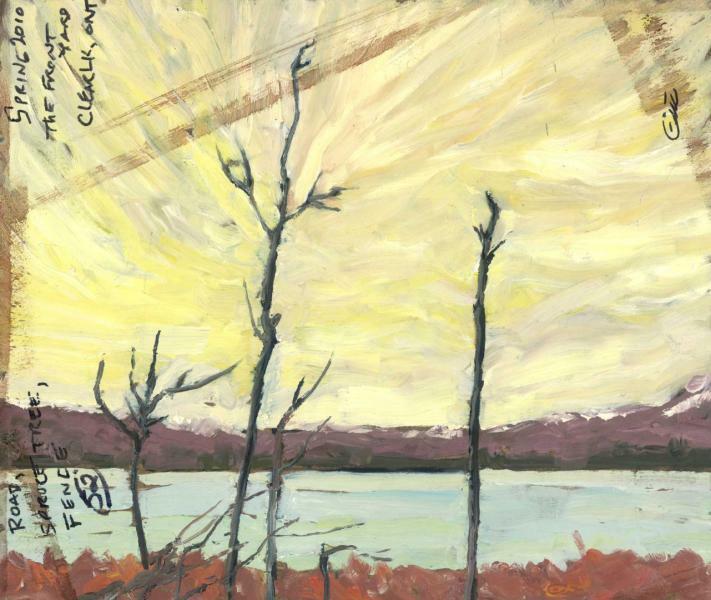 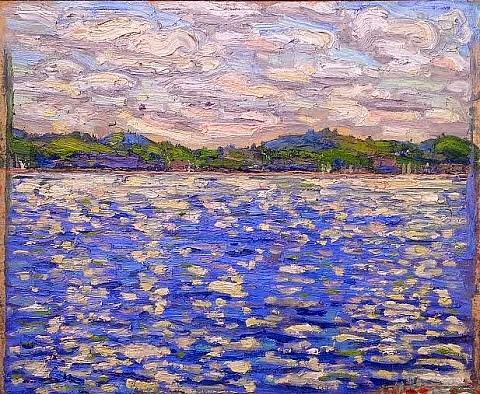 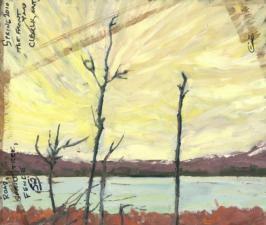 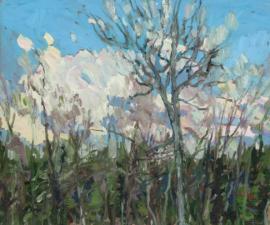 He has adopted the medium and tools of one of his mentors, Tom Thomson. 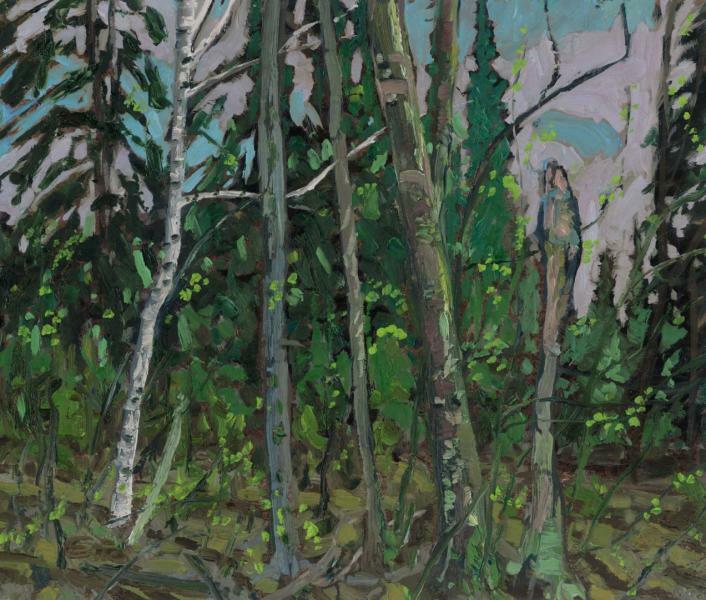 Most of McConnachie’s works are done on small wood panels, painted while surrounded by the environment from which he is nourished. 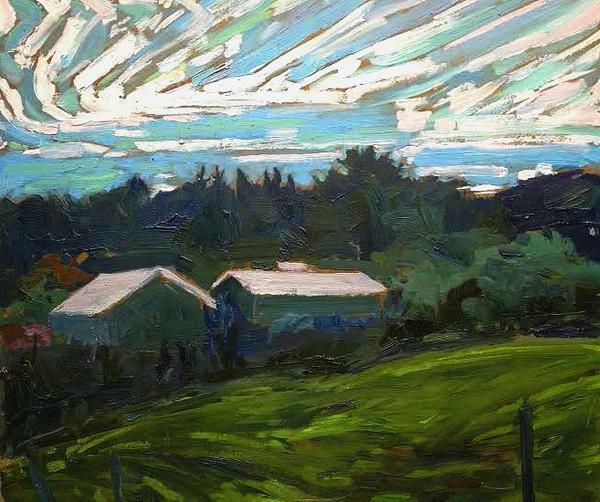 He is able to bring an energy and immediacy to all of his works; the weather as it changes through all the seasons, the light as it shifts from morning to evening. 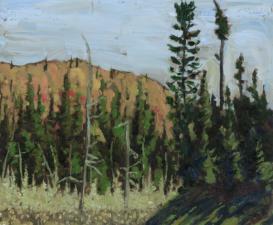 Each is a small window into a wilderness which still exists on the periphery.